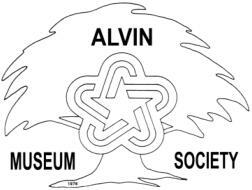 At the May meeting of the Alvin Museum Society, some of the artifacts to be displayed in the Alvin Historical Museum were shown. 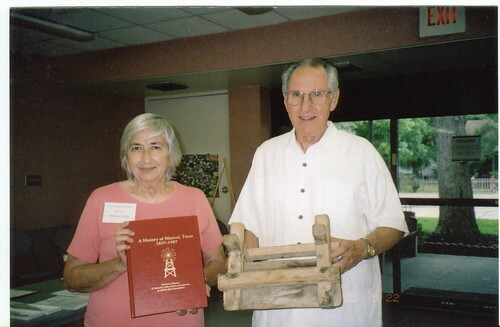 A drawing was held for the correct identification of the above artifact, held by Dr. J. C. DeWitt, one of the winners. Anna Kettler, another winner, shows A History of Manvel, Texas. Both received a copy of the book for recognizing the object as a pack saddle, a wooden frame placed on the back of a burro to secure loads.